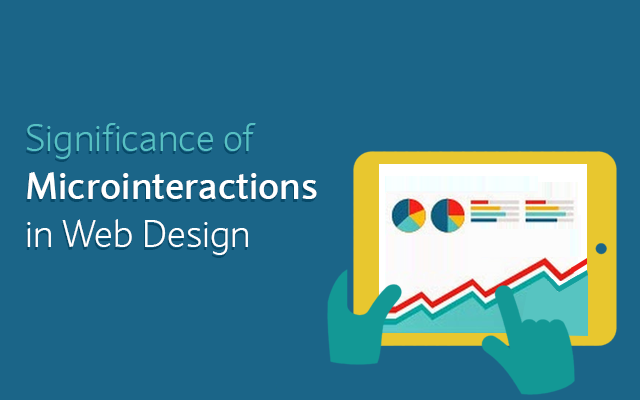 Microinteractions can greatly enhance the user experience on a website. No matter how good your design is or you embed a killer feature on your website, if the users get turned off by the signup form, they won’t stick around long enough to check it out. You need to focus on both parts of the design if you want to create a successful product viz. the main picture and the details; and microinteractions form this detail part. Microinteractions are meant to accomplish a single task. For example, if you change a setting, rate a software, share a post, or set a status message, you’re actually engaging with a microinteraction. You will find microinteractions all around us in applications and on websites. You can call them as the brief pieces of functionality that can be utilized and forgotten, or they may be so interesting and memorable that they become a part of your brand. Microinteractions usually get little attention. After all, who bothers to check out the password change functionality on a website. Microinteractions are something users just expect to be present. But ignoring them can be a big mistake. The difference between the products we love and those we simply use are often the microinteractions associated with them. You can increase the acceptance and customer loyalty through microinteractions. How to improve the microinteractions in web design? You can only deliver best microinteractions when you understand the user needs and the context of use. Basically, you need to make out their purpose and where and when they are occurring, both within the product and the user environment. Microinteractions can be said to be composed of four parts viz. trigger, rules, feedback and loops. It is the trigger that starts a microinteraction. It can be a manual control, like a user click, or a registration form that a user needs to fill in. These manual triggers are usually influenced by environment and convention. System Triggers are even more interesting. For example, when an email message arrives on your system and your computer pings, it’s a system trigger. These system triggers occur when a certain condition or set of conditions is met. This forms the second part of the microinteractions. Rules define what can and cannot be done with the microinteraction, or what will happen and in what order will it happen when the user pushes a button, say. The rules should make the users flow through the ‘interaction’ part of the microinteraction. This includes determining what actions most people often take, and building those in as smart defaults. Rules can help prevent human errors by blocking actions that may break the microinteraction. For instance, Gmail is ill-famed for catching an email before it goes out without an attachment if something like, “I’ve attached…” is written in the body. Since rules are not visible, users understand them by the feedback which forms the third part of the microinteractions. It is through the feedbacks through which we understand what’s happening. These feedbacks can be visual, aural, or haptic; visual being the most prevalent. With microinteractions, the less the feedback, the better. Feedback is the place where you can add a decorative layer to your microinteraction. At times, when situations are irritating, a little bit of humor works quite well, like an error message or loading time is high. Loops and modes form the last part of microinteractions. Generally, modes should be avoided in microinteractions, until and unless they are really important. They may interrupt the flow of the microinteraction. For instance, ‘Forgot Your Password’ mode in a login. Loops determine the duration of microinteraction. Will the microinteraction end immediately, or will it repeat forever? Loops can help extend your microinteraction to the future, including what will happen when the user returns for the second time, or the tenth, or the hundredth time with your microinteraction. How will it change and adapt over time? By putting together trigger, rules, feedback, and a loop (or mode), you can create a polished microinteraction and turn something into really lovable rather than just a utility product. What touch has in its pack for future designs?